The last time I was in the mountains I was aged 19 and it was for a winter working season in Madonna di Campiglio. In practice during the classic sabbatical year in which you have to decide whether to resume your studies or not. Since then everything is (re) started last year. 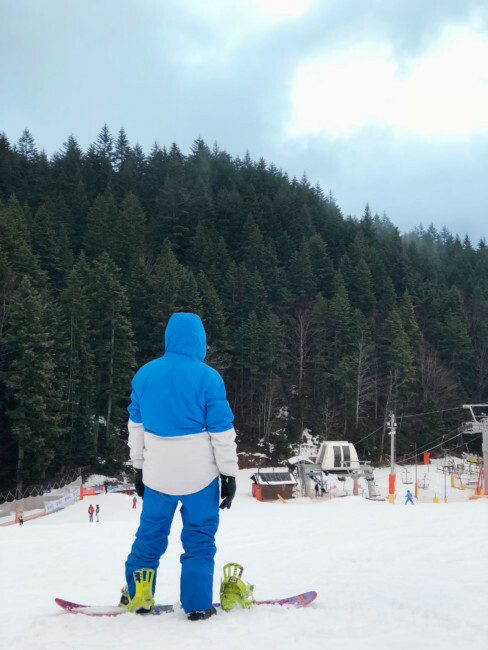 Christmas holidays, Epiphany, we decide to bring Spruzzetto di Sole in the mountains because we have decided that our child sports must try them more or less all. 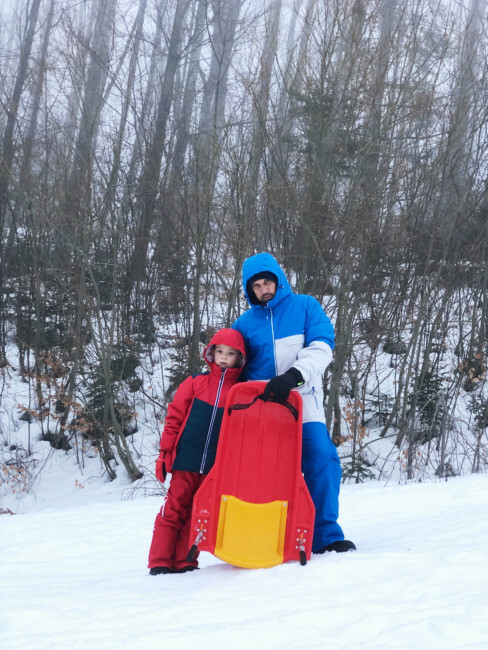 We book a single ski lesson and then we take the sled because, in our opinion, it would not go ahead. But instead, as often happens with the children, our expectations were totally wrong. 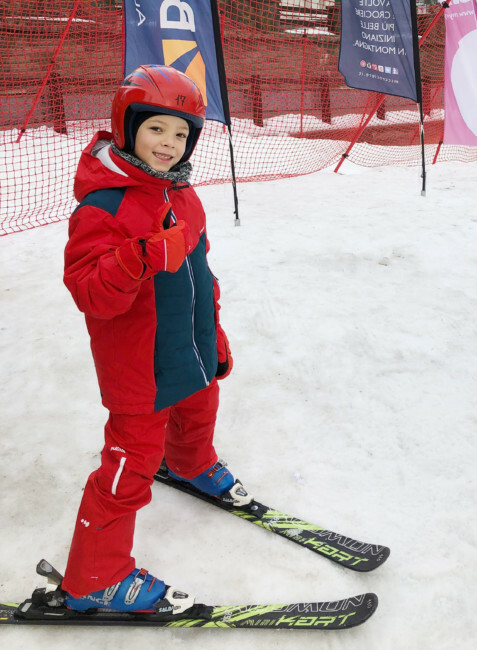 We discover a child brought for skiing and who falls in love with it so much that he wants to continue skiing on the track alone after his first lesson (Crazy!). 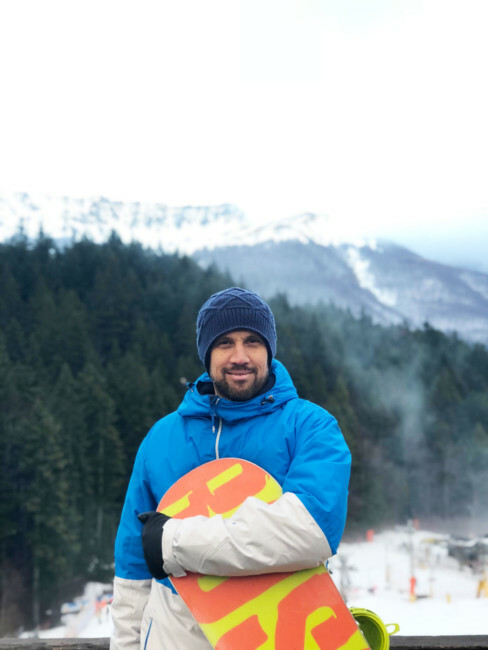 So they start different weekends in the mountains to make it ski and cultivate this new passion. 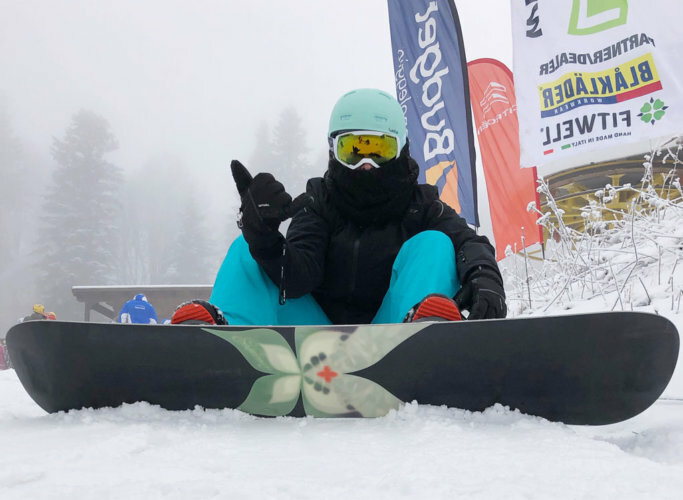 Get back to skiing or learning snowboarding? 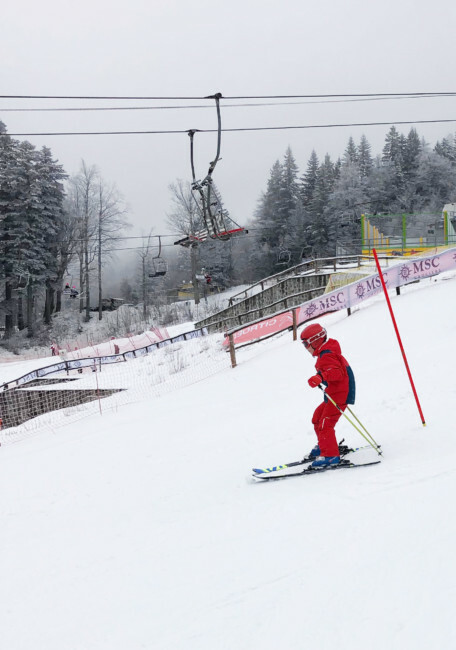 Spruzzetto di Sole from one lesson to another was now able to make the slopes of the school field alone and to see him I feel like putting the skis back on. Spending the days checking it while standing still in the snow to suffer from the cold is not exactly the best. 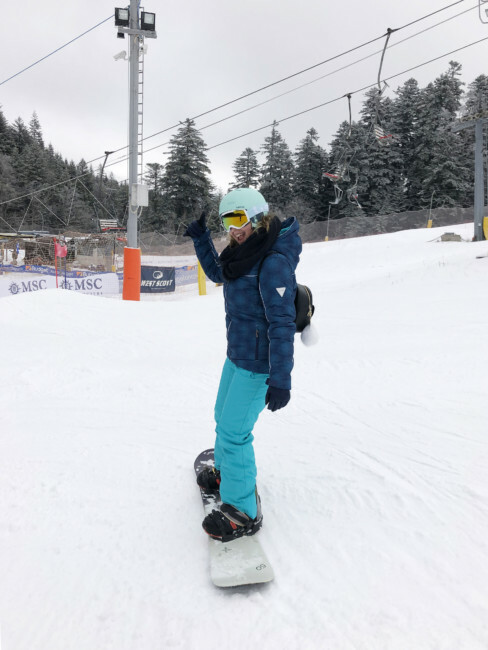 Husband, for his part, has never even put a pair of skis and mindful of the disquisitions on both sports had when I was in Madonna di Campiglio the advice to try snowboarding. 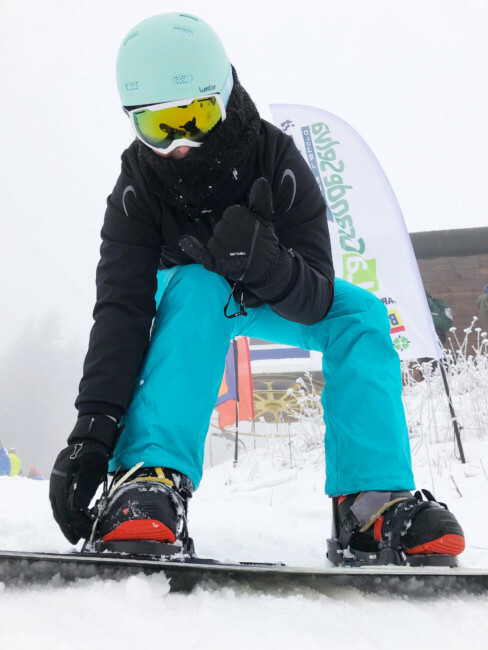 It seems, for the over 35 totally novices, it is easier and faster to learn than skiing (only because it has less technique). Having said that, he does two lessons and discovers a passion he has never felt before. 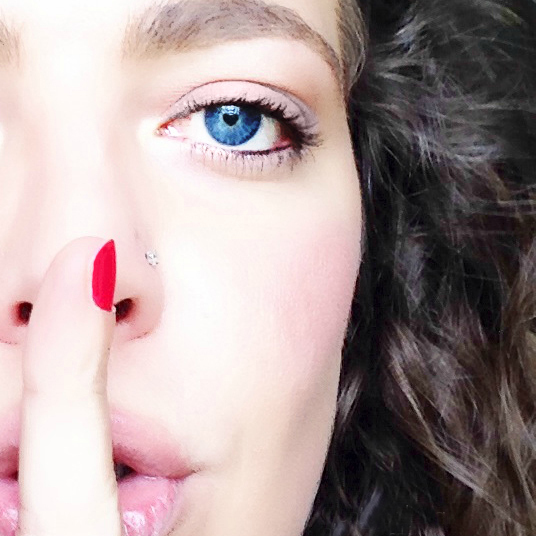 Ok, keep the hangover, I’m totally ruined, it’s a conspiracy against me. What do I do? In my ignorance I start to analyze the two sports as best I can. Ski: You are in front position. 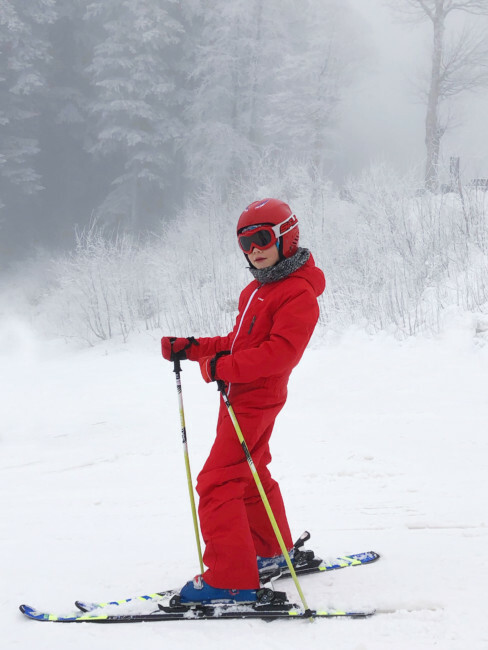 Greater balance and ease of weight balancing having legs detached and resting on two skis with rackets that allow you to drive the descent with more or less momentum. This is why it is also initially difficult to fall. Technique is not easy and before leaving the snow plow it takes time. Very practical because the skis are not removed until you stop skiing. Prevalence of injuries to the lower limbs. Objectively more elegant, but I am a hauler. 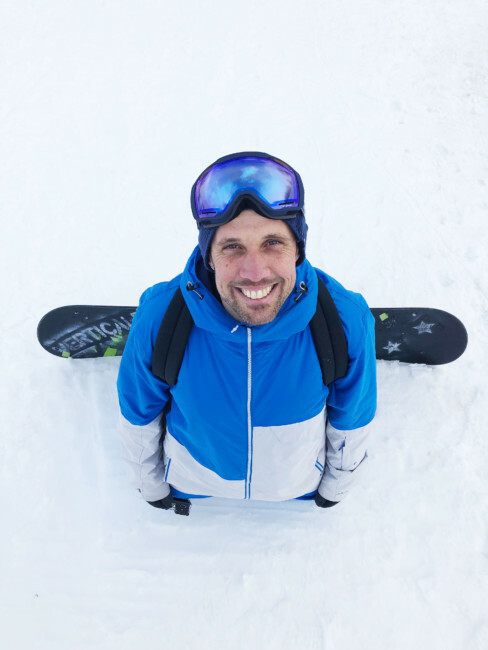 Snowboard: You are in a transverse position (stance position). Unstable equilibrium that needs a minimum speed for the same principle with which one goes cycling. For beginners it is inevitable to fall. Bones on the bottom, knees and wrists must be counted. A rather elementary technique characterized by freedom of movement, in a few lessons you can already have fun on your own. Poor practicality because the foot back is removed from the table when you are flat and when you take the chairlift. Prevalence of injuries to the upper limbs. Maybe a sport a little more than “maschiacci” as I am. 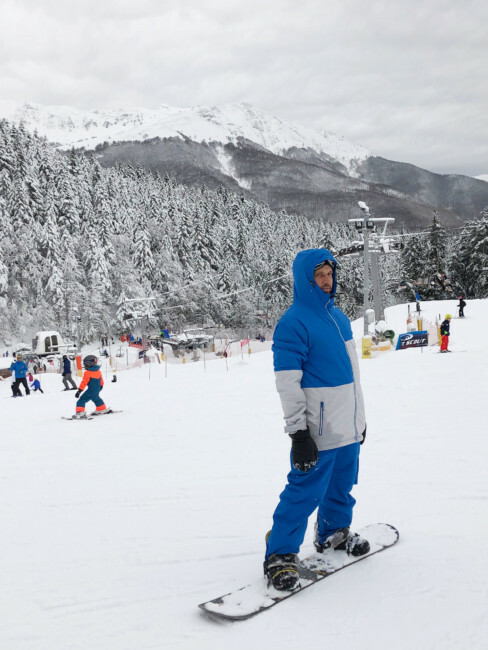 Considering all this I could not give a certain answer about how much easier it is to practice skiing or snowboarding which of the two winter sports is better than the other. 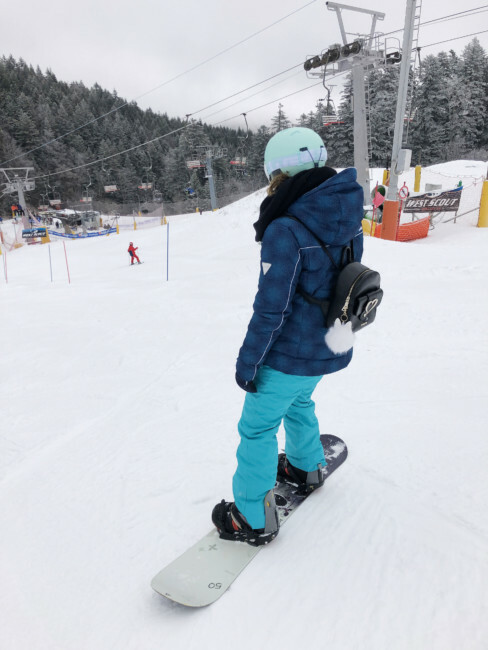 They are two different disciplines, they have different needs and although both involve a sliding in the snow, even though snowboarding is technically easier to learn, it all depends on our personal tastes and what we are brought with. 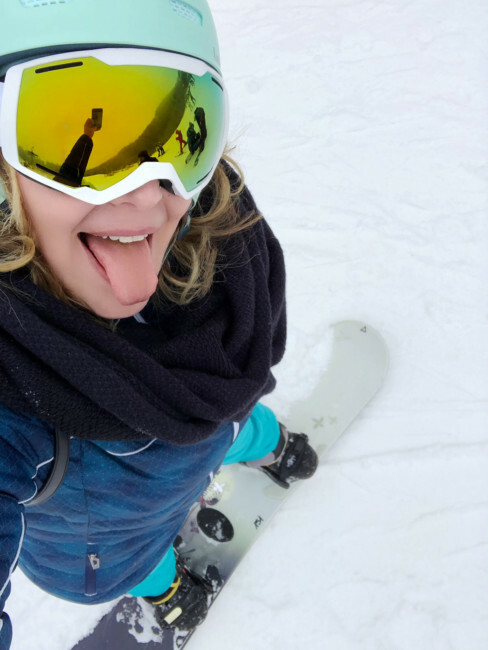 Skiing against snowboarding, who has had the best? 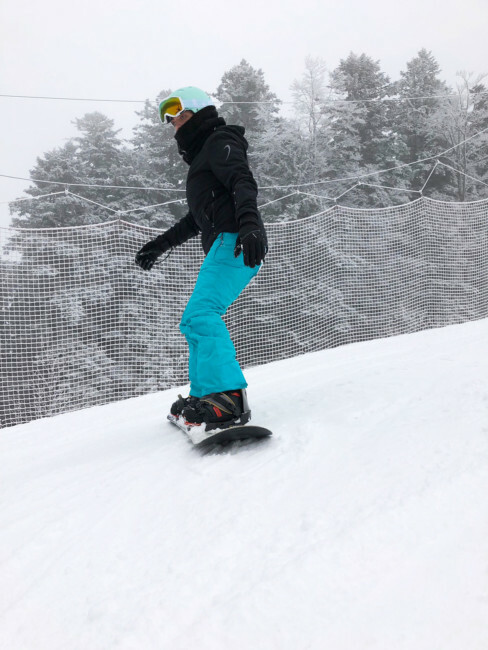 In the end I decided to be hesitant to try snowboarding. After the third lesson I was already practicing alone but taken by the emphasis and the fun I voluntarily accelerated, I fell ill, I got scared and I decided to give up everything. It’s been a year, fortunately (or bad luck) I’m stubborn and I gave myself the ultimatum to try again. Either he was going or I was resigned to being an ungainly elephant on skis. Moral? I’m doing so many of those falls that even I know how I do every time to get up but I like it too much and I want to improve. At the same time I am taking care of my fear of emptiness being obliged to use the chairlift. Advice to give you? Do not ever gasp too convinced of knowing how to do well one of the two sports because the bad fall is always lurking. Never give anything for granted and yes, always give us a second chance. That thing that we usually did not like can show us a different nuance that could make us appreciate it. Just like it happened to me with the mountain and the snowboard. Aloha.